Williams took out a full training licence in 2003 and, in December that year, saddled 40/1 chance Sunray to win the Finale Juvenile Hurdle at Chepstow. However, it was the victories of State Of Play in the betfair.com Handicap Chase at the Aintree Grand National Meeting and the Hennessy Gold Cup at Newbury in 2006 that brought Williams to the attention of the wider racing public. Readers may recall that, in 2008, the Wednesday of the Cheltenham Festival was abandoned due to high winds. Well, it was on the packed, 10-race card the following day that Williams trained his first, and only, winner at the Cheltenham Festival. High Chimes, ridden by Williams’ assistant trainer, James Tudor – also, coincidentally, the reigning champion point-to-point jockey – made mistakes, but won the Fulke Walwyn Kim Muir Handicap Chase. 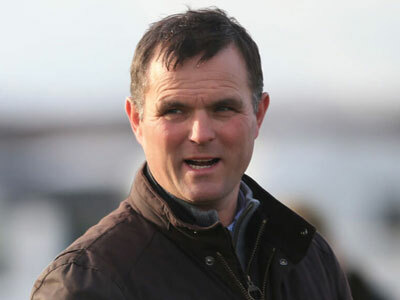 Williams said later, “I did not really appreciate the High Chimes win as much as I should have and did not appreciate how difficult it is to get a horse good enough to win at The Festival”. In the years that followed, State Of Play was to become the flag bearer for the yard, finishing in the first four in three consecutive Grand Nationals, in 2009, 2010, and 2011. Indeed, Williams also saddled Cappa Bleu to finish fourth in the Grand National in 2012 and second the following year, to give him the enviable, or unenviable, record of having a horse placed in the race five years running. Williams recognises that it is total prize money, not total number of wins, by which success is measured. Having saddled 51 winners and won £598,389 in 2016/17, at the time of writing, he has already amassed £634,429 in 2017/18, despite saddling just 42 winners. Court Minstrel won the Silver Trophy Handicap Hurdle at Chepstow for the second time in his career in October, John Constable, winner of the Swinton Hurdle at Haydock in the summer, is being aimed at conditions hurdles, including the Champion Hurdle, and novice chaser Report To Base has resumed his previous progress, so Williams has plenty of cause for optimism.